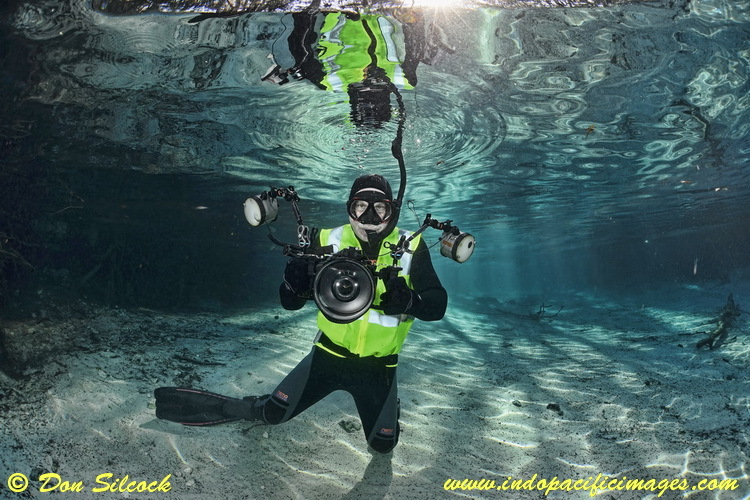 The Manatees of Crystal River… Interacting and photographing large creatures like the manatees is for me as good as it gets underwater! They grace you with their presence, are in charge of the agenda and I find the actual experience utterly inspiring! 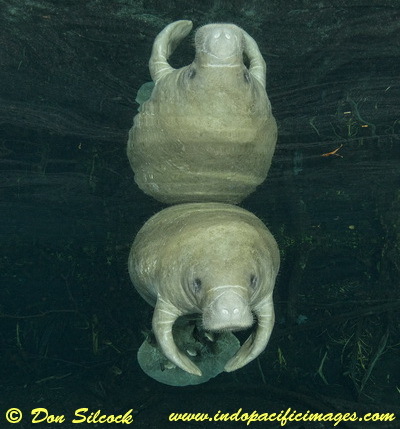 Manatee Interaction – Quite Special! But Florida is a very long way from my part of the world. And despite several attempts at getting there it just never worked out until a couple of years ago. 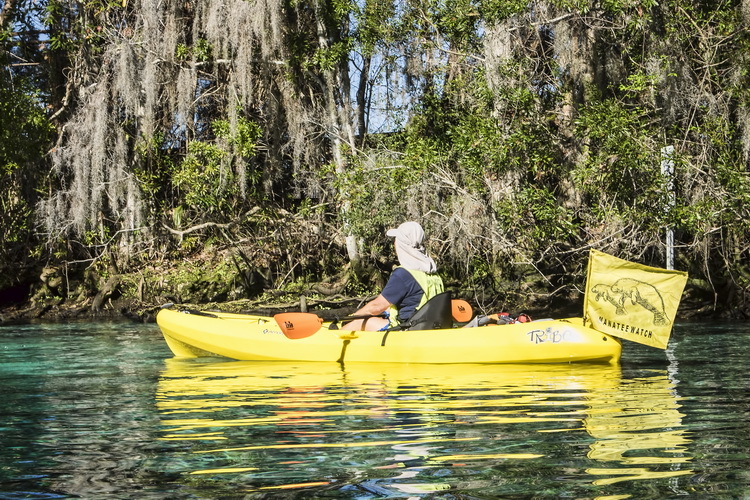 I am so glad I made that long trip because being in the water with the manatees was indeed a unique experience. But I have to say that I left Crystal River with a strong degree of ambivalence. On the one hand I loved the manatees, I mean how could you not? They are big, cute and wonderfully photogenic. Plus, if you can get time alone with one in the Three Sisters, the backdrop is just spectacular. But… I was just not comfortable how they have been so commercialized at Crystal River. Plus, if they really are “one of the thousand things to see before you die”, then it can only get worse. 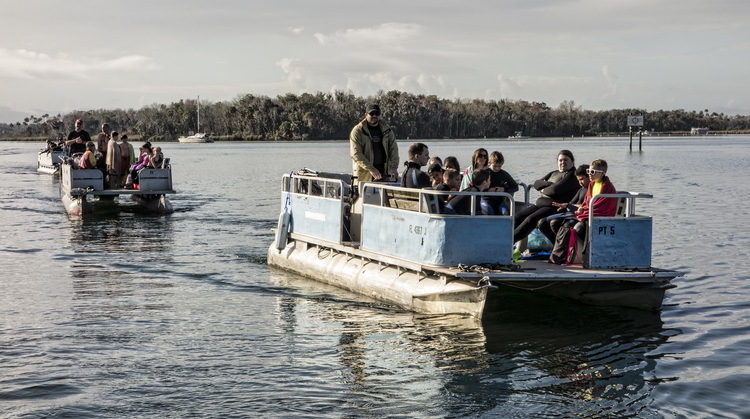 My overall sense of things was that everything that could be done was being done to minimize stress on the manatees. The US Fish and Wildlife Service seem to have good systems in place to monitor the overall situation. Plus the tour operators seem to really know what they are doing and follow the rules. Well certainly mine did – Birds Underwater. 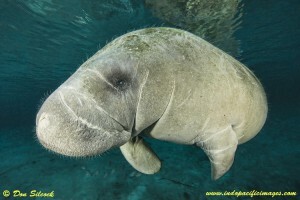 Plus the extensive number of Manatee Watch volunteer wardens do a great job. 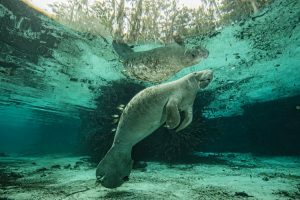 I felt incredibly fortunate to have had some close personal contact with a few of those manatees that use the Three Sisters. But that was always on their terms, where they came to me and allowed me to photograph them! 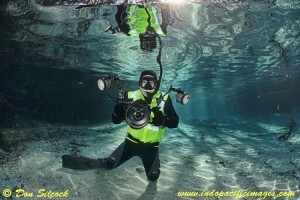 There are strict rules of engagement for “professional photographers”. First of all you have to watch instructional videos prepared by the the Fish and Wildlife Service. Which explain how to behave and then after you have paid a fee, you are given bright vest with a number on. 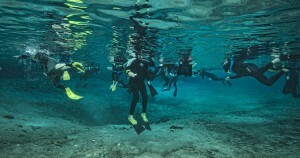 Only if you have a vest on and are allowed to submerge rather than stay on the surface like all the other tourists. You are not allowed to pursue the manatees, under any circumstances. So you have to hold your breath and hope they come to you…. But when that happens it really is a special moment that can only really last until your desire to breath overcomes your desire to cherish it!